This description of Paul Sinton-Hewitt's work was prepared when Paul Sinton-Hewitt was elected to the Ashoka Fellowship in 2016. Paul founded parkrun to both create an occasion for people to be physically active and connect them with their community. parkrun events are free, open and volunteer-led runs, taking place every Saturday of the year in 12 countries around the world. Starting as a tiny community of runners in London in 2004, today parkrun brings together 140,000 runners and 10,000 volunteers every single Saturday, encouraging communities around the world to be healthy and active. Despite the prevalence of gyms and a recognized value of exercise, public health concerns on issues such as diabetes, obesity, and mental health associated with modern lifestyles continue to rise. Paul founded parkrun to break down these barriers encouraging participants from outside traditional athletic groups, to simply get outdoors and move. At the same time, parkrun recognizes volunteering as a form of activity and hence redefines what it means to be active. With global reach and ambition, from New Zealand to Poland, parkrun aims to enable every community in the world to set up a parkrun and get its citizens active, healthy and connected. Paul founded parkrun to both create an occasion for people to be physically active and connect them with their community. parkrun events are free, open and volunteer-led runs, taking place every Saturday of the year in 12 countries around the world. parkrun creates a framework that empowers and equips volunteers to organise 5K runs in local parks, breaking down the barriers to physical activity while simultaneously encouraging community cohesion. Starting as a tiny community of runners in London in 2004, today parkrun brings together 140,000 runners and 10,000 volunteers every single Saturday, encouraging communities around the world to be healthy and active. Paul has bridged the need for inclusive social spaces with a common desire for health and activity to create a movement that is universal in its appeal and inclusive in its practices. Driven to promote public health as much as community solidarity, parkrun became a global phenomenon with over 2.5 million registered runners in 12 countries and has doubled its growth every year. Paul has created a platform and occasion for modern society to come together, tapping into the human need to be active, social, and out-doors. Despite the prevalence of gyms and a recognized value of exercise, public health concerns on issues such as diabetes, obesity, and mental health associated with modern lifestyles continue to rise. High membership fees, low levels of physical fitness and an intimidating sport culture, are all listed as barriers to leading an active lifestyle. Paul founded parkrun to break down these barriers. Parkrun encourages participants from outside traditional athletic groups, to simply get outdoors and move. At the same time, parkrun recognizes volunteering as a form of activity and hence redefines what it means to be active. The success of parkrun is founded in its simplicity and community oriented approach: all runs are organised by the local community for the local community. Every Saturday at 9:00am, 52 weeks of the year, volunteers gather in parks around the world to organise 5k runs for people at any level of fitness, from any background and accommodates participant needs regardless of their motivation, may it be to exercise, chat or combat loneliness. Participants need no number, no kit, and no money. They can walk, run, stroll, push a stroller, or simply cheer or volunteer. After the run, everyone is invited to join for a coffee to chat and engage with one another. Once registered online, anyone can turn up to any of these events around the world without having to plan or commit beforehand. Currently, Paul is expanding his model to reach the youngest citizens, bringing the idea into schools and empowering teachers to organise ‘SchoolRun’. With 20,000 new runners registering every week and over 800 events worldwide parkrun has been held up as an example of best practice by the UK government’s Committee for Health and Sport who named it the UK's most successful and fastest growing organisation for free physical activity. With global reach and ambition, from New Zealand to Poland, parkrun aims to enable every community in the world to set up a parkrun and get its citizens active, healthy and connected. According to the World Health Organisation (WHO), worldwide obesity has more than doubled in the last 30 years. WHO identifies higher intakes of energy dense foods as well as decreased physical activity as the primary causes. This trend also extends to children, with 26% of boys and 29% of girls suffering from obesity or overweight. The total cost of inactivity in England, including both the direct costs of treatment for the major lifestyle related diseases, and the indirect costs caused through sickness absenteeism is estimated at £8.2 billion a year. For example, it is estimated that obesity accounts for 18 million sick days per year. Despite costly public health campaigns, less than half of adults in the UK meet the government's recommendations for physical exercise. Socio-cultural, practical, and knowledge barriers are considered the greatest hurdles to increasing participation in physical activity. Socio-cultural factors are linked to the exclusivity often associated with sports clubs and exercise gyms. Dominant notions of both elitism and masculinity limit the accessibility of sports for minorities or underrepresented populations. In addition, self-perception and the perceptions of others are important factors in encouraging or discouraging activity. A second barrier is practical, including physical, medical and economic obstacles. Lastly, knowledge gaps contribute to the problem as evidence suggests that individuals in specific groups (particularly people from ethnic minority communities and older people) might not be fully aware of all the benefits of physical activity. In addition, studies have found that some service providers might not be fully equipped to provide for and understand the needs of specific groups (e.g. older people, people with disabilities and specific members of ethnic minority communities). Exacerbating these physical health issues is the correlation between urbanisation and social isolation. Community integration and cohesion are at odds with decreased opportunities for in person relationships. Dwindling public social experiences such as attending church services or even shopping at local markets have serious implications for community development, organisation and civic engagement. The impacts on individual mental and physical health as well as the wellbeing of communities is tearing at the social fabric of our society leading to public health concerns and an opportunity gap in local community engagement. Paul knew that to get people both physically active and engaged in their communities, he had to start a movement rather than an organisation, breaking down barriers to entry, making participation fun and organising in a way that would allow for the movement to grow quickly. To reach this aim, Paul’s strategy rests on four insights: the simplicity of the idea, the power of volunteerism, the decentralized organisation model, and the influence of scale on national policies. At the core of parkrun’s strategy lies the simplicity of the idea, as well as a strong commitment for all parkruns to be, and forever remain, free of charge and accessible to all. Anyone turning up at a parkrun will be welcomed personally by volunteers whatever their capabilities, level of fitness or social background. Having established a strong set of values throughout the organization, Paul has assured that every parkrunner will have that same experience wherever in the world they join a parkrun. Paul chose running as a means to unite people for its obvious simplicity. All people need is a pair of trainers. He then set a global standard for the length of runs to be 5 kilometers, ensuring that participation is achievable for all and yet challenging enough to gain physical benefits. He chose local parks as the consistent venue both from a practical perspective, parks being both accessible and free, but also recognizing the value and benefits of the outdoors for mental and physical health. To ensure the safety of all runners, volunteers define and secure the course prior to the start and spread along the path to support, cheer and look after all runners. When crossing the finishing line, every runner is recognized and timed, encouraging runners to improve their fitness levels and take on responsibility for their own health. At the end of each run, all participants are invited to join the group at a local cafe, extending the social aspect of the movement past the event itself and allowing for communities to connect. The second strand of Paul’s strategy is the appreciation and promotion of volunteering. Paul views volunteering not only as a means of civic engagement but also as an activity that promotes mental and physical wellbeing. For many, parkrun is one of few occasions that allows them to mingle in an environment with no expectations, finding their role in society and a reason to get out of their homes. For others, parkrun provides a genuine opportunity to be entrepreneurial and start something they can call their own. Parkrun hence harnesses the social impact of volunteering in terms of mental and physical health as well as serving as a starting point for people to get into volunteering in the first place, with many of the parkrun volunteers continuing to give their time to other causes in the future. This ties in with the third insight that defines parkrun’s strategy: the way it organises itself. Paul knew that for parkrun to become an empowering movement he had to let go of a top-down leadership model and allow for anyone to become a part of the organisation - may it be as a runner, a volunteer or the founder of a local event. To allow for this to happen, Paul – who had a former career in software writing and technology – developed a software that decentralizes the structure of the organisation and allows communities to set up local runs, time runners and store and track their data. Paul relies on the entrepreneurial spirit of a few local individuals to kick-start a parkrun, while encouraging and nurturing the spirit of volunteering of others to maintain it. Paul hence empowers communities to take ownership of parkrun along with the accountability. Many times, setting up a parkrun is the first entrepreneurial experience people have. To allow for people around the world to have such empowering experiences, Paul has set a framework which sets clear boundaries (no one can compromise on safety or the free ethos of the organisation), within which they are free to experience a real sense of leadership. Indirectly, and more importantly, Paul puts the responsibility for people’s own health and community back into their own hands while providing them the necessary resources to be effective. The unrestrictive nature of this leadership model means that parkrun is rooted in strong individual alongside community-led motivations, sparking fast and organic growth on a global scale. Ultimately, Paul leverages the power of numbers to influence on a policy level. With 2.5 million registered runners and hundreds of thousands of people gathering across the UK alone, Paul easily gets the attention of politicians. As such, he is a frequent advisor to various government bodies consulting on sports, community inclusion, and public health. Paul’s long-term ambition is for the government to incentivize physical activity. Despite growing concern for an emerging public health crises related to obesity and mental health, few systemic approaches have been successful locally let alone transnationally. Paul advises the Government on how to create alternative structures for behavior change, including positive tax incentives for recorded physical activity. To allow for such major changes to be introduced, Paul also works on an industry level, and is currently writing the software for a platform that will enable sports clubs to track the use of their facilities in units of activity – a simple tool missing to date. Paul’s ambition is for the ‘Activity Tracker’ to measure activity in all kinds of forms, may it be physical activity or activities such as volunteering. To date, parkrun has scaled into 12 countries around the world. Currently Paul is placing strategic focus on 4 regions: the UK, Ireland, South Africa and the US. In the UK, Paul has already introduced ‘junior parkrun’, events happening on Sundays and with much stricter security measures, allowing 4-14 year olds to participate. 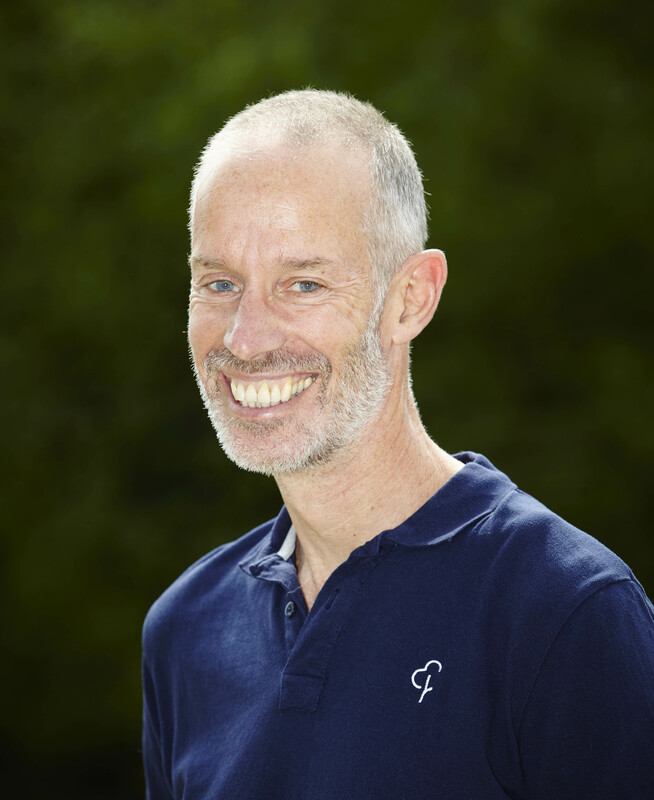 Currently, Paul is expanding his work into schools to introduce ‘SchoolRun.’ Empowering teachers to lead ‘SchoolRun’ with their pupils, Paul aims to make physical activity a rite of passage for every young person in the UK. Paul was born in Zimbabwe but spent the greater part of his formative years in South Africa. Paul applied for a stipend to go to university, but dropped out after only a couple of terms, feeling burdened and anxious about accumulating financial debt. Instead, he decided to complete his obligatory military service in the Air Force. At the time, South Africa was at war with Angola and Paul was trained as a radar instructor. Paul found it hard to fit in with the forces, struggling to take top-down orders and rebellious at heart. When completing his Air Force duty, Paul’s ambition was to become a teacher, but he later took an aptitude exam and transitioned into the IT sector instead. Computers had just become available in South Africa and Paul was intrigued by the new technology. He says he got lucky when getting his first job with Barclays Bank, where he was given great responsibility and freedom to innovate. In his first two years at the bank, Paul wrote the software for the first ever hole in the wall banking system in SA, and programmed the ATM via a satellite link to Dallas, Texas. This was in 1980, long before the Internet. He soon got headhunted by different firms and started a steep and successful career in coding and technology. At British Telecom he would later write the accounting software for the world’s first mobile phone, called ‘Rabbit’. Finally, he became a member of the senior management team of a tech firm called Seer Technologies, which grew from being a small start up to a $200 million turnover business, listed on the US stock market. He says that it was this entrepreneurial experience that taught him how to organise teams and manage complex systems. Throughout his life, running had been both a form of therapy as well as a source of inspiration for Paul. He discovered his competitive edge during his youth, when he was the fastest kid in school. But it was the fact that he wasn’t the fastest kid in his town that made him train harder. Later in life, running helped Paul to deal with his own mental health challenges. It was also during his runs, that he contemplated about technical challenges he was facing at work. He says that most of his light bulb moments about complex coding structures came to him on the run. Paul organised the first parkrun after suffering from a bad injury that prevented him from running himself. To keep up the group of friends that gathered for runs in his local park regularly, and to stay connected to the group even though he wasn’t running himself, Paul joined as a time keeper and facilitator. What started as an informal gathering of friends soon turned into a popular event, attracting more and more people from the community. When setting up parkrun as a not-for-profit organisation, Paul poured his savings into the movement, taking a huge risk until sponsors came on board. Until today, Paul sticks to the highest standards when it comes to the selection of funders and frequently turning down sponsorship opportunities from firms that do not align with his vision for a healthier and more connected community. In 2014 Paul was awarded a CBE by her Majesty the Queen for 'services to grassroots sports participation'.